Global Non-Compliance website > In 1999, 35 million small family plots produced 90% of Russia’s potatoes, 77% of vegetables, 87% of fruits, 59% of meat, 49% of milk — way to go, people! In 1999, 35 million small family plots produced 90% of Russia’s potatoes, 77% of vegetables, 87% of fruits, 59% of meat, 49% of milk — way to go, people! And since 1999, it seems things have only gotten better when it comes to small-scale agriculture in Russia. What other country raises so much of their food in such sustainable, organic, and non-GMO modes of production? While the European Union is setting the stage for agribusiness takeovers of major market share from traditional peasant farmers in places like Poland, Russia seems to be one of the few countries on the global stage moving so clearly in a sustainable and healthy direction. And while organic farming gets a lot of media attention in North America, the fraction of agricultural land actually under organic cultivation is miniscule at 0.6%. The EU is a bit better at 4%. In spite of the minimal land area under organic cultivation, the movement for healthy agriculture in North America is under increasing siege by government “regulators”. So what’s behind this wonderful new revival of Russian peasant agriculture? Could it be as simple as one person — Anastasia — a 40-year-old woman from Siberia who befriended a traveling Russian entrepreneur? Based on material Anastasia gave him, that entrepreneur, Vladimir Megre, has published nine books which have become underground best-sellers in Russia. One of Anastasia’s imaginations, which Megre describes in considerable detail, is a future in which more and more people live on small (one-hectare) homesteads, which she calls Kin’s Domains. There they cultivate the earth to grow trees and raise vegetables and fruits of exceptional nutritional value, with enough surplus to sell. 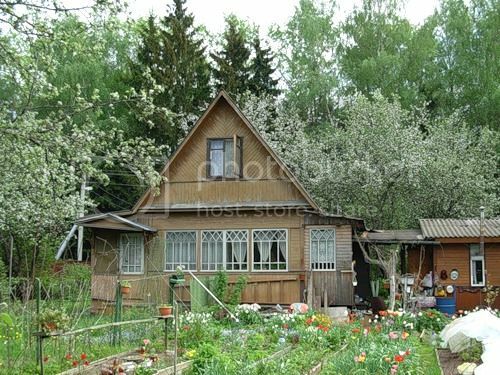 Anastasia imagines a national culture based on simple rural life in eco-villages like these, in which values of health, love, truth, freedom and beauty take precedence. Eventually she sees this leading to a booming business in eco-tourism as people from all over the world want to come to Russia and catch with their own eyes a glimpse of what humanity and the world can become. Anastasia, however, is not just a simple peasant woman. In fact, she seems to be something of a spiritual adept, in the ancient Vedic tradition. In addition to her suggestions for agriculture and nutrition, she shares with author Vladimir Megre, insights on subjects as diverse as statecraft and the education of children. The books are an enjoyable and educational read. Though it’s sometimes tiresome to wade through Megre’s personal struggles with the material, I don’t think there’s anything I’ve seen yet that quite compares with what Anastasia has put before us in these few slim volumes. She describes her mission as helping people find their way through “the dark forces’ window of time”. And that’s something we could sure use some help with. Thanks Anastasia! “….Vladimir Megre, a Siberian entrepreneur, is the author of The Ringing Cedars Series. The story begins with Vladimir on a commercial trade run through some remote communities of Siberia. He starts to build an interest in the economic value of the Siberian cedar, and then pursues reports of a “ringing cedar,” an anomalous tree that stores cosmic energies and, after many hundreds of years, begins to ring. On his journey, Vladimir meets Anastasia, a young woman who has grown up in the Siberian wilderness. 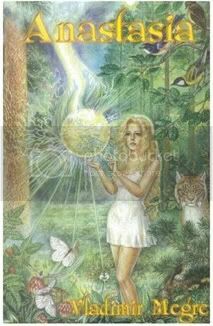 She brings Vladimir back to her forest glade and shares her advice with him regarding the raising of children, living a natural lifestyle, and illuminating the spirit of Creation that rests within every person. For Vladimir, living a few days in Anastasia’s world is full of shocking and mystifying experiences. Humbled by the simple accommodations of a grass-lined dugout and not even a fire, Vladimir witnesses the abilities of Anastasia’s visionary “Ray,” as well as her astonishing somersaults, swings, and soaring through the forest canopy. Both the wild animals and the plants in her domain are seemingly tamed, observes Vladimir, as he watches the squirrels bring her food, the cedars shower her in pollen, and witnesses a show of acrobatics with the denizen bear! As Vladimir’s critical interest in these phenomena grow, Anastasia stresses the importance of the wisdom she offers, offering the vision of an emerging culture re-united with Nature. Letting the children grow up in orchards and gardens full of our love is the key to reclaiming humanity’s Creator role on earth, and this new Age of Co-Creation will be realized when we empower our dreams with the purity of thought that comes from living a natural life. This is the story of The Ringing Cedars. Whether one accepts it as fact or fiction, it is playing a massive role in transforming the culture of Russia, and in various communities around the world. “Currently, with 35 million families (70% of Russia’s population) working 8 million [hectares] of land and producing more than 40% of Russia’s agricultural output, this is in all likelihood the most extensive microscale food production practice in any industrially developed nation. Though the dacha movement has its roots in Russia’s traditional peasant culture (and more recently in post-WW2 programs to boost agricultural production) the Ringing Cedars movement has had its own major contributions since the release of the books in 1996. 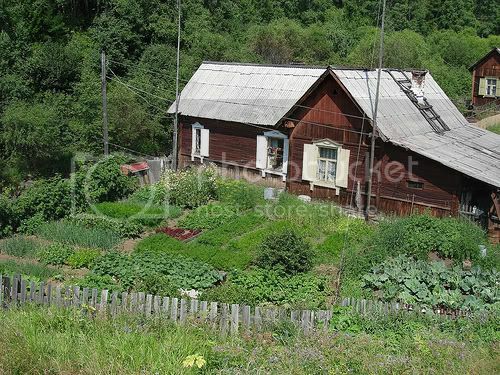 A strong focus on planting trees and using non-timber tree products, permaculture principles like “no-dig” gardens, and fulfilling a spiritual relationship with the land are some of the new characteristics among the dachniks who have been inspired by Anastasia. 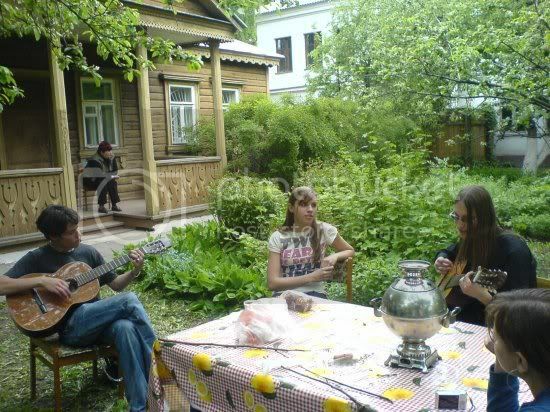 As well, the readers of Anastasia are also at the heart of a growing Russian eco-village movement. These are subsistence communities made up of multiple family estates, normally called “Kin’s Domains,” a term that appears in the books. Along with each family’s estate of between one and three hectares, these eco-villages may include community areas with a school, clinic, theatre, and festival grounds. 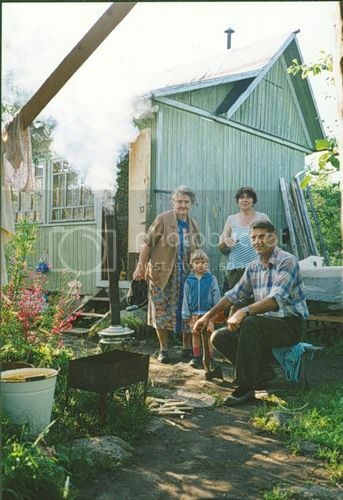 Before the release of the Ringing Cedars books, Russia was without an eco-village movement; but in 2004, a conference of readers had attendants representing more than 150 eco-villages! The spiritual affinity within the communities of the Ringing Cedars movement lies in their vision of re-establishing “Motherland,” an eco-culture where every person is fulfilling their role as a Divine Co-Creator. As readers go deeper into the series, Anastasia begins to reveal the path back to the state of a Creator Being, teaching about “The Science of Imagery,” of empowering our creative ability with pure thought, feelings, and a loving relationship with Nature. She also shares her stories about the history of the People of Earth, of the priests who led us into the Occult Age that is just now ending, and of the Beauty that was found in the gardens and rituals of an ancient Vedic race. An early cover from the first book. Anastasia also gives advice regarding the sowing of seeds, raising bees, and ideas for setting up a permaculture-style estate. Along with accounts of kombucha UFOs, ancestraldolmens (ancient burial chambers), and supernatural orbs, The Ringing Cedars Series contains a diverse array of paranormal tales, practical sustainability, poetic scripture, and cultural vision. For me, the books are a captivating read of personal, cultural, and spiritual significance. “Out of Russia comes again the hope of the world” — Edgar Cayce See this page for more background on Russia’s spiritual mission in our time.